Three women's matches on the Royal Rumble card? Times have indeed changed. This build has actually been solid. Nia as a monster destroying Sasha is a smart route. The main issue is that, as much as the crowd likes her, Sasha is miscast as a babyface. She's so much better as a heel, it isn't even funny. Nia needs the win here and Sasha wouldn't be hurt by it. I think the best route is for Nia to win and Sasha to look resilient, trying to fight through the pain of past injuries. Sasha should turn heel before Mania and I'd do Sasha/Bayley there, though I'm sure we're getting a four way. Cesaro is the king of the makeshift tag team isn't he? The dude just gets it. He and Sheamus have become a pleasant surprise and one of the better things on Raw. Karl Anderson and Luke Gallows seem to be going through the motions in the WWE thus far, having only a handful of matches I'd call good. The one with Cesaro and Sheamus a few weeks ago on Raw was one of those, despite the dusty finish. I could see them finally capturing the Tag Team Titles, but I also don't see Cesaro and Sheamus dropping the titles yet. With Mania looking more crowded than ever, I sense they enter as champions to guarantee their spot. The Smackdown women's division continues to excel where the Raw division fails. I care about most of the women in this match (sans Nattie and Naomi). This could really go either way. I could see the babyface team winning for a feel good moment since I see the other two women's matches ending with heel wins. However, I could also see the heels winning so Mickie James wins in her return. That's what I'm going with. Mickie pins Naomi most likely, solidifying her return. I get the feeling these six might do the first women's Elimination Chamber in a few weeks (I miss Carmella). Also, I think the best choice for a Mania match would be Becky/Mickie but I doubt that happens. 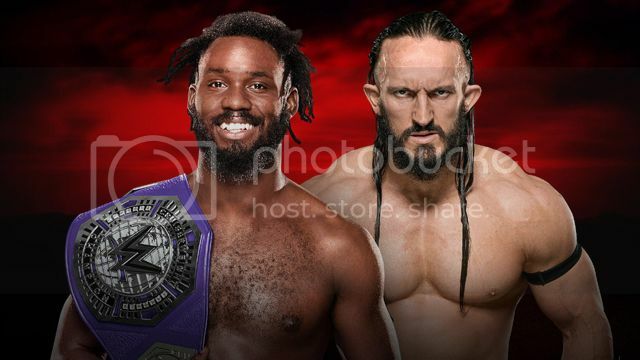 I think the right decision here is to put the title on Neville. He has breathed new life into the division and his own career. Neville has been another of the few highlights on Raw. The problem is that the Cruiserweight Title has changed hands quite a bit in its short history. Not NEVER Openweight Six Man Title levels but still. TJ Perkins held it for just over a month and the same goes for The Brian Kendrick. Rich Swann is right around the sam mark for days as champion. I'm going with Swann retaining, sending Neville further into his anger. Maybe he'll grow his beard more and his theme will get even slower. Oh my god, I don't care. Raw has done a phenomenal job of taking people I like (Sasha Banks, Kevin Owens, Seth Rollins, Bayley, etc.) and making me apathetic when they show up. Bayley comes out and I'm not overjoyed or even smiling. She's just there. Charlotte is a charisma vacuum and is probably the main reason I couldn't care less about the women of Raw. Charlotte is gonna retain here so she can move to 106-0 on Pay-Per-View. Everything points to her dropping the title at Mania, but the same thing could be said last year and she inexplicably walked out as champion. There are three people I refuse to bet against in these things and Charlotte is one of them. She is gonna set all sorts of records, win so many titles, be the focal point of the division and cut putrid promos. Life goes on. As I said, Raw has made me not care about certain people. I love Kevin Owens but I'm so beyond sick of seeing Roman Reigns, Owens, Chris Jericho and Seth Rollins compete in some combination. I think the best route would be for Owens to retain here and lose to a returning Finn Balor at WrestleMania. The first Universal Champion comes back for the title he never lost. I don't think that happens. Reports seem to indicate a Jericho/Owens match at Mania, which I don't want because they're so good as allies. I've learned not to pick against the big dog and that isn't changing here. On the flip side of what Raw does, Smackdown makes me interested in people. I've more interested in this incarnation of John Cena than I have been in years. "I'm John Cena. Recognize." It's just heelish enough to wink at the fans booing him while staying face enough for the kids to love it. AJ Styles has been doing spectacular work as champion and I'd love to see him enter Mania as champion. I hope he doesn't end up working Shane McMahon or even Samoa Joe at Mania. Let him enter as champion and do Undertaker vs. Cena in a straight up match. This is John Cena though. I saw he gets sixteen here because I can't fathom a world where WWE has Styles beat Cena three straight times in singles matches (and a triple threat). This is the most excited and scared i've been going into a Rumble in years. I honestly have no idea who wins. I'm scared because Goldberg, Brock Lesnar and The Undertaker are viable options to win and I think none of them should. I'm excited at the outside prospect of a guy like Miz, Baron Corbin or even Sami Zayn winning. I'm most excited because Finn Balor could be returning. It would make for a great moment and I'm all for him winning. Brock and Goldberg will most likely cancel each other out, Sami will last long only to get eliminated and Baron and Miz will most likely not win. Despite my wishes that it doesn't happen, I predict the Undertaker wins this thing. I know reports have said they won't do the match, but I'm still going with Undertaker vs. Cena to close out Mania.